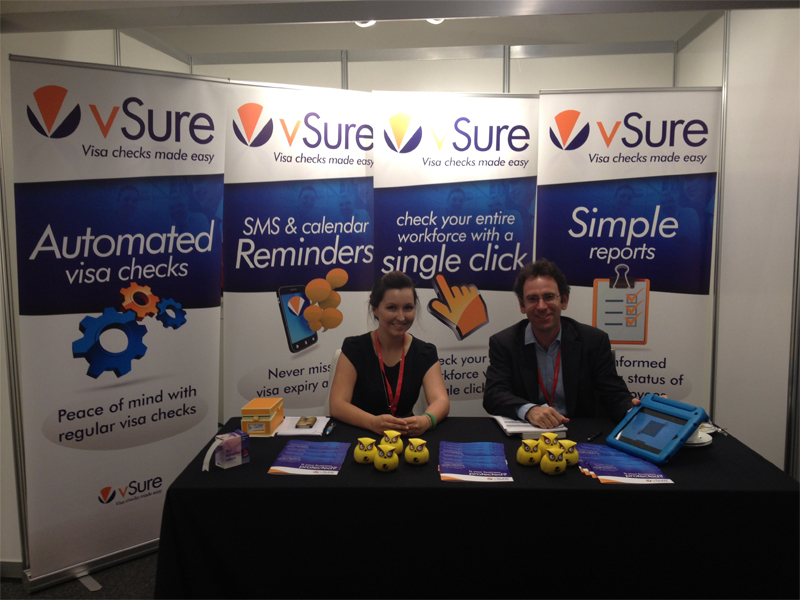 The vSure Team attended the Migration Institute of Australia’s (MIA) NSW Conference 2014 in Sydney on 19 May 2014 sharing our message about managing your clients proactively. We met many interesting people and were pleased to have the opportunity to engage with migration agents direct hearing their suggestions and feedback. Our vSure Owls were a hit, reminding people that vSure looks after your visa holders 24 hours a day! vSure is a cloud based tool to store your non-citizen and non-permanent resident visa holder details and set automate visa checks to ensure your compliance with the new legislation. Read our website to see how you can protect your business with vSure or for migration agents manage your clients proactively.